A huge piece of who we are is where we came from. Our personality and our beliefs are shaped from a very early age by the people around us and the stories they told. We describe ourselves by our family name, our heritage, where we grew up, and our nationality. This type of connection to our past is important and healthy, but there are times when it becomes a problem. In this interview with EFT Master Jacqui Crooks we talk about the conscious and subconscious ways in which we adopt these beliefs as our own, how debilitating they can be, and what we can do to release them in a healthy way without damaging our connection with the people we love. 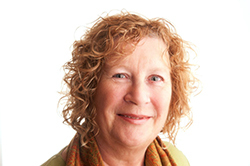 About Jacqui: Jacqui is one of the pioneers in using Energy Psychology, finding EFT IN 1999. Her life’s not been the same since! She is an International speaker and trainer and an EFT Founding Master. She specializes in helping people to change limiting beliefs and old family and ancestral patterns that create self sabotage and keep people stuck. Her background is in Ericksonian hypnotherapy and NLP and through the development of unique ways of combining EFT with hypnotic language and NLP, Jaqui is able to help effect deep level changes quickly and easily without trauma. She runs retreats in interesting places and trains EFT, worldwide. She presents at conferences and is one of the authors of EFT and Beyond. Thank you, Gene, for this lovely interview. I’ve never heard Jaqui before. And thank you, Jaqui for your insights. And of course, the timing is perfect…I’ve been working on my own family emotional patterning. The explanation that we finally have the time and resources to deal with this stuff is so spot-on! I love how we’re healing Humanity! Thank you for all you do.